The biggest company, Mobike, already operates more than seven million bikes across over 160 cities globally – and a merger with its biggest rival, Ofo, is in the offing. 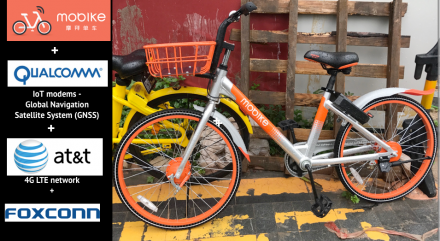 For its US launch Mobike (above) has teamed up with AT&T for its networks. Qualcomm will make the GPS-enabled smart tags attached to each bike. And iPhone maker Foxconn will manufacture the actual bikes. Negative side effects have accompanied this explosive growth, of course; entrances to subway stations, for example, have been blocked by piles of carelessly dumped bikes (above). 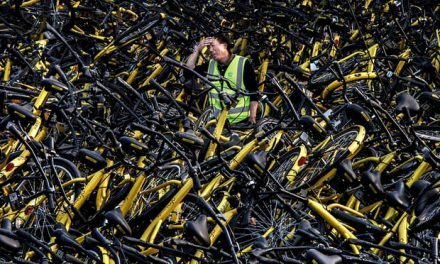 Beijing and Shanghai have banned the addition of more bikes until their users learn, or are compelled, to use designated parking areas. Wayward user behaviour may well be just a blip; penalties (and incentives) can easily be added to dockless bike software. When sharing platforms enable new relationships between people, goods, equipment, and spaces, the notion of mobility as a discrete economic sector no longer makes sense. The bigger story now unfolding (above) seems to be one of system transformation – a peak-car tipping point – that’s been slowly ‘brewing’ for a very long time. (I don’t believe the concept of “Personal Era” is a timely one – but I’ll come to that in my next post). For the physicist Ugo Bardi, the decline of a complex system can be faster than its growth – an insight he attributes to the Stoic philosopher Seneca, who wrote: “Fortune is of sluggish growth, but ruin is rapid”. 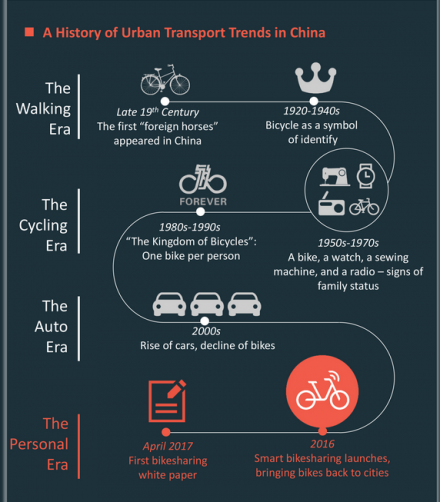 This could surely be true for a global mobility ecosystem based on the private car. After 100 years of spectacular growth, the Mobility Industrial Complex now confronts three potholes in the road ahead that could each on its own, prove fatal. The first is energy. Americans now use as much energy on one month as their grandparents did in their entire lifetime – and that rate of increase is accelerating with the advent of ‘cloud commuting’ and ‘smart mobility’. The Stack now runs on about seventeen terrawatts a day. The second un-driver of mobility is cost. It now costs 91c to travel one kilometre to travel in your own car, but less than half that (30c/km) if you share. In some Chinese cities, where dockless bike systems are marketed like an app, you can use one for free. The third pothole awaiting modern mobility – and it’s a big one – is complexity. There are more lines of code in a high-end Audi than in a Boeing dreamliner – a costly feature will feel more like a bug if the coming software apocalypse turns out to be real. “Sustainable smart mobility”, in this context, is turning out to be different in degree, but not in kind, from traditional transport and infrastructure planning. It tweaks the means, but not the ends. 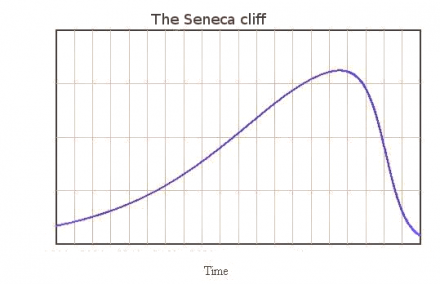 Because neither the ‘need’ for perpetually growing mobility is questioned – let alone its biophysical possibility – the road on the downside of Seneca’s Cliff will be a bumpy one if a new story. 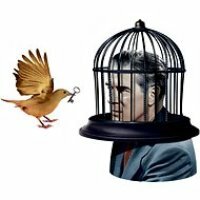 This writer has learned the hard way that people read things when they are ready to read them – not when they are written. In the hope that the time is now right, the articles below may, now, be useful. Until now, transportation has been planned to ‘save’ time. In this age of energy transition, would a better criterion not be, how to save calories? 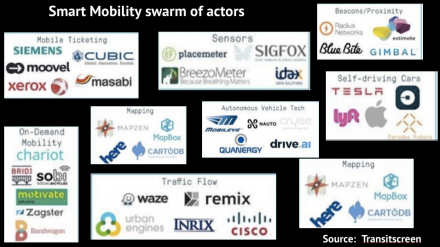 Who should own mobility sharing platforms: private companies? cities? us? What kind of ecosystem is needed to support the sharing platforms we want? India’s many millions of bicycle and rickshaw vendors embody the entrepreneurship, sustainable mobility, social innovation, and thriving local economies, that a sustainable city needs.As an ecosystem, they’re also part of the metabolism that makes a city smart. That said, cycle commerce is a challenge for a city’s managers. Many different actors are involved in bicycle commerce – often with differing or downright conflicting agendas. Managing this kind of urban constellation is hard. A two-year project in Belgium proposes new relationships between people, goods, energy, equipment, spaces, and value. Its design objective: a networked mobility ecosystem. Mobilotoop asks, ‘how will we move in the city of the future?’ – and does not worry too much about the design of vehicles. ‘Cloud commuting’, in this context, is about accessing the means to move when they are needed (such as the micro-van, above) rather than owning a large heavy artefact (such as a Tesla) that will sit unused for 95 percent of the time. Something big is afoot. E-bikes in China are outselling cars four to one. Their sudden popularity has confounded planners who thought China was set to become the next automobile powerhouse. In Europe, too, e-bike sales are escalating. Sales have been growing by 50% a year since 2008 with forecasts of at least three million sales in 2015. At a workshop in Delhi, Arjun Mehta and myself posed the following question to a group of 20 professionals from diverse backgrounds: What new products, services or ingredients are needed to help a cycle commerce ecosystem flourish in India’s cities, towns and villages? Packaged mass tours account for 80 percent of journeys to so-called developing countries – but destination regions receive five percent or less of the amount paid by the traveller. 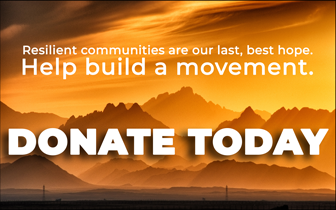 For local people on the ground, the injustice is absurd: if I were to pay e1,200 for a week long trek in Morocco’s Atlas mountains, just e50 would go to the cook and the mule driver who do the work. The mule, who works hardest, gets zilch. Can green travel be reformed? A few years ago, Audi’s in-house future watchers noticed an unsettling trend in visions for the future of cities : an increasing number of these visions did not contain cars. Urban future scenarios seemed to be converging around car-free solutions to problems posed by debilitating gridlock, lack of space, and air pollution.Wondering what this trend meant for a car company such as itself, the company launched its Urban Future Initiative to establish a dialogue. The future of the car has been electric for what? Five years now? Ten? The answer is 110 years, for it was back in 1899 that La Jamais Contente (The Never Satisfied) became the first vehicle to go over 100 km/h (62 mph) at Achères, near Paris.Since then, as we produced hundreds of millions non-electric cars — and despoiled the biosphere in the process — all manner of non-petrol cars, including electric ones, have come and gone. The fundamental problem with high-speed train systems is not that they burn too much of the wrong kind of fuel. The problem is that – like the interstate highway systems that came before – they perpetuate patterns of land use, transport intensity, and the separation of functions in space and time, that render the whole way we live unsupportable. To a car company, replacing the chrome wing mirror on an SUV with a carbon fibre one is a step towards sustainable transportation. To a radical ecologist, all motorised movement is unsustainable. So when is transportation sustainable, and when is it not?